While the phone market readies for another huge push in Q3 of 2014 with flagship devices, one device is reported to be not making the cut. The iPhone 6, which is expected to be released in a 4.7″ and a 5.5″ for the first time, has run into a delay. Originally they were supposed to be released side by side in September to fight off Samsung’s massive displays of the Galaxy S series and Note series, but there has been a break in manufacturing. According to reports, the 4.7″ iPhone 6 will still make it’s debut this September, and will go head to head against the Galaxy Note 4 without it’s 5.5″ counterpart. There has been a delay because the touch sensors seem to be having difficulty on the larger display and there are concerns of the Sapphire glass not being durable enough in drop tests. This could also be detrimental to customers on the fence about holding out for the 5.5″ phone, when they have to wait up to 6 months from now. With many flagships out now, and in the coming months, they could lose potential switchers. I am sure the iPhone 6 4.7″ will be hugely successful, but even I was curious about a 5.5″ iPhone (and I am a devout Android user). I won’t think twice when I purchase my Galaxy Note 4, even more so than before. The question is, are other people going to hold out? 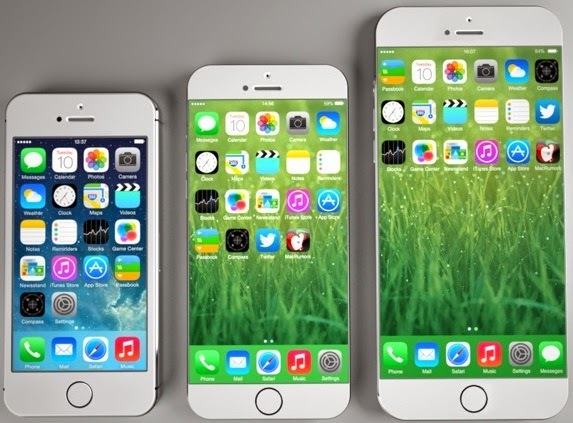 Would you get the 4.7″ or the 5.5″ iPhone 6? Let us know in the comment box below!